Don’t be scared, it’s just William and Alexander talking about the restored 1961 movie The Mask. (This one does not star Jim Carrey.) Reputedly, this was Canada’s first horror movie and first 3-D film. Fans of vintage horror can experience The Mask again in the archaic anaglyph “stereoscopic” format on Blu-ray Disc. Put the podcast on now to hear our reaction after a recent theatrical screening. 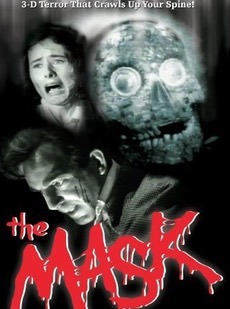 Here are links to IMDb pages for the movies discussed in this episode: The Mask and Spellbound.